Comfort Inn Cancun Aeropuerto is a 4* hotel located in Cancun-Airport Area, Mexico. It features 65 rooms. 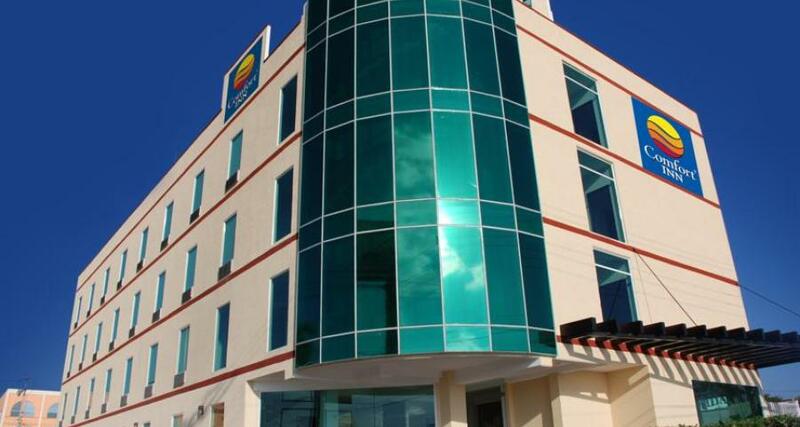 Comfort Inn Cancun Aeropuerto is a practical hotel for business travelers visiting the city of Cancun. The comfortable facilities have been designed with the rest, relaxation and travel requirements of executives in mind. The property is excellently located, offering easy access to the hotel zone, as well as to the highway leading to the Riviera Maya and the airport. All of the guestrooms at Comfort Inn Cancun Aeropuerto are peaceful and comfortable, offering contemporary decor and all the services you need for a relaxing accommodation experience in Cancun.